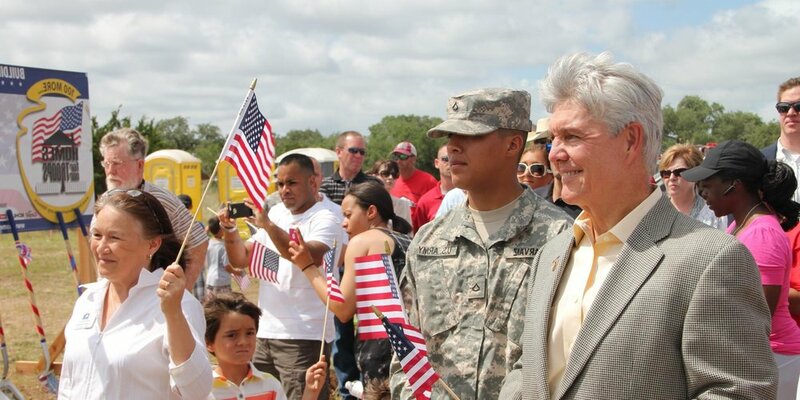 Roger Williams has been the U.S. Representative for Texas's 25th congressional district since 2013. He served as Regional Finance Chairman for Governor George W. Bush in his 1994 and 1998 elections. Williams was appointed by President George W. Bush in 2001 to be Chairman of the Republican National Finance Committee’s Eagles Program. He has also served as State Finance Chair for John Cornyn's U.S. Senate campaign and as the National Director of the "Patriots" program for Cornyn. Williams was appointed by Governor Perry to the Texas Motor Vehicle Board. He was nominated by Lieutenant Governor Bill Ratliff to the Special Committee on State Employee Compensation and Benefits, and then appointed as Secretary of State of Texas. 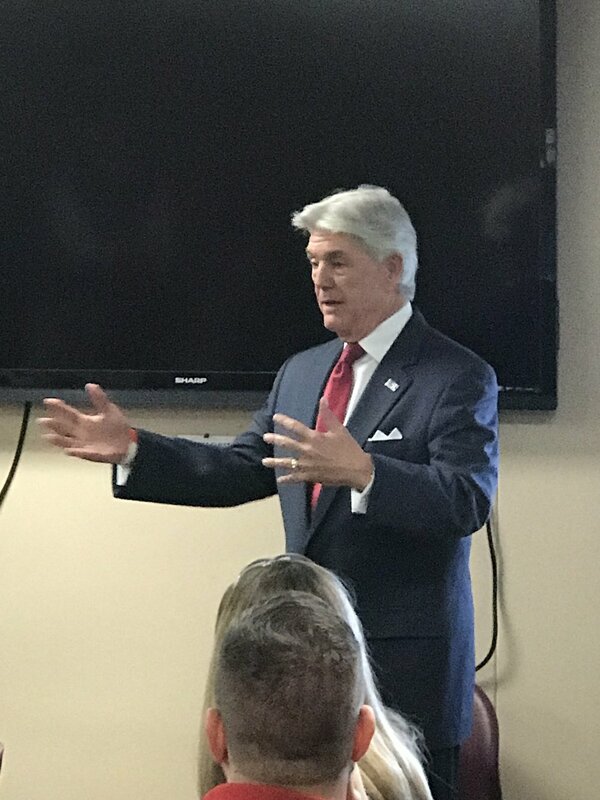 In June 2011, Williams announced that he was dropping his Senate bid to instead run for Texas' 25th congressional district seat and was elected and re-elected again in 2014. Williams won his third term in the House in the general election held on November 8, 2016. He currently serves on the United States House Committee on Financial Services, Committee on Transportation and Infrastructure, Subcommittee on Aviation, Subcommittee on Highways and Transit, Subcommittee on Railroads, Pipelines, and Hazardous Materials, and the Caucus memberships Republican Study Committee. Border security must be the top priority during the final months of the 115th Congress. The pervasiveness of illegal border crossings is one of the greatest threats to the safety and security of Texans. For that reason, I will continue to work with President Trump and my House colleagues to secure the border and enforce the rule of law. Democrat’s persistent calls for special pathways to citizenship and support for policies like the visa lottery program and chain migration only stand to threaten law abiding Americans. I support our federal and state law enforcement officers, and I am committed to providing them with the resources and policies they need to combat the proliferation of illegal immigration. As all of you in our district know, I have been fighting for a commonsense, business owners perspective on tax reform since day one. Less than a year ago, we passed the Tax Cuts and Jobs Act - truly historic tax relief for all. Since then, there are more jobs, Americans are seeing higher wages, and Main Street can breathe again. While all of this is great, there has always been the uncertainty of knowing that these cuts would expire in 2025 - something I've been fighting to change. I am happy to report that after working hard with House Leadership and the President, the House passed three pieces of legislation that make up Tax Reform 2.0. I voted in favor of the Conference Report to Accompany H.R. 5895, the Energy and Water, Legislative Branch, and Military Construction and Veterans Affairs Appropriations Act. This legislation will improve military operations and enhance safety, rebuild infrastructure for service members and their families, allocate the largest dollar amount in history for the U.S. Department of Veterans Affairs, and advance veteran-centric health care. At the start of this Congress, small business optimism was low. Employers and workers needed relief from burdensome regulations in order to grow their business. Last year, we passed the Tax Cuts and Jobs Act, which slashed taxes for Main Street and allowed it to breathe again. This gave a 20 percent small business tax deduction, and immediate business equipment expensing. Small business optimism is reaching record highs. The American people, whether they own a small business or are employed by one, are flourishing due to historical tax cuts, and I am excited to continue watching the economy thrive.